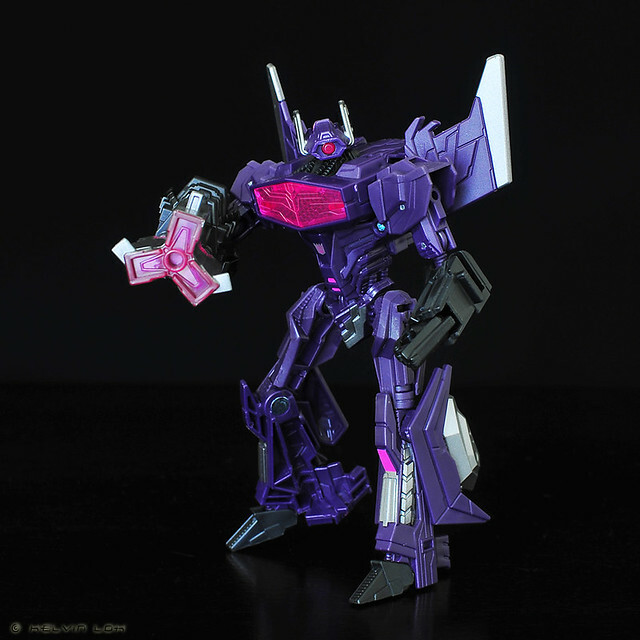 After getting Fall of Cybertron Jazz, I wasn't able to find FOC Shockwave in retail initially. 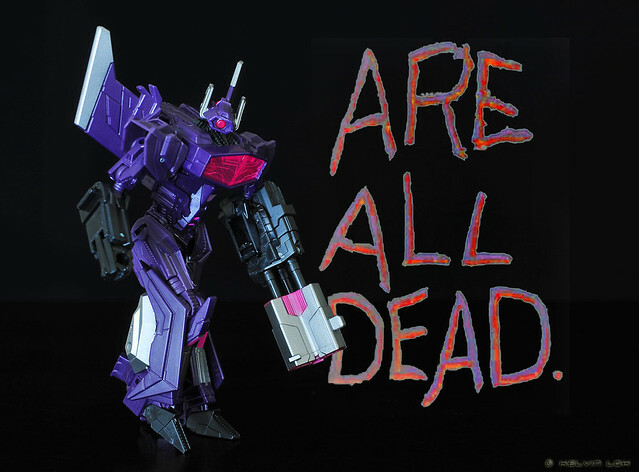 It seems that in recent series the Decepticons are more popular than the good guys? Then one day I managed to find a few of it at 20% discount! FOC Shockwave has the trademark mono eye. Even his chest is reminiscent of G1. However he has two normal arms instead of a gun arm. But following a recent trend, his laser cannon can be 'intergrated' into either arm to form the gun arm. When not used, the laser cannon can be mounted on his back. FOC Shockwave alt mode. According to the back card this is a Cybertronian mobile artillery. To me it looks like one of those Japanese anime alien spaceships with superlaser weapon in the bow. 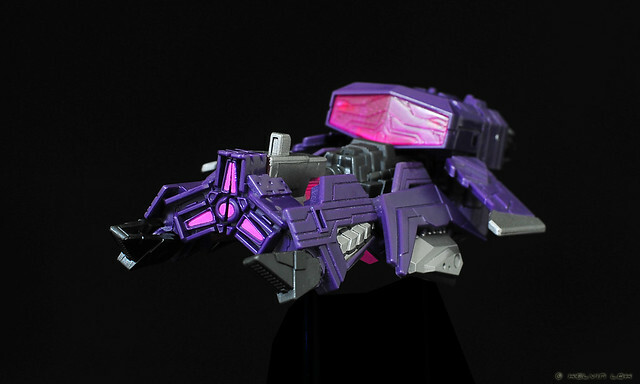 Then again, from this angle it also looks like a Cybertronian locomotive. 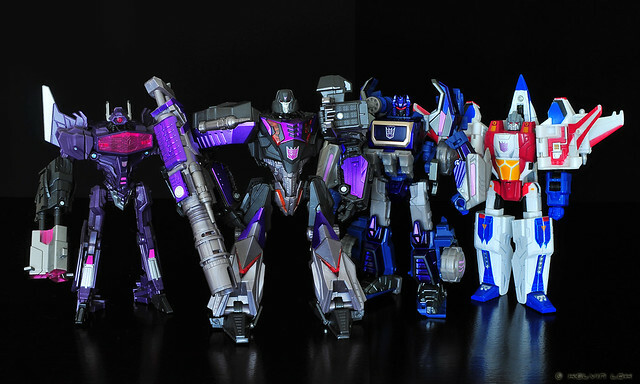 Decepticon commanders in their Cybertronian modes. Rather noticeable is the size of the new Deluxe scale figures is shrinking. Shockwave is still not too bad; FOC Optimus Prime is the worst. 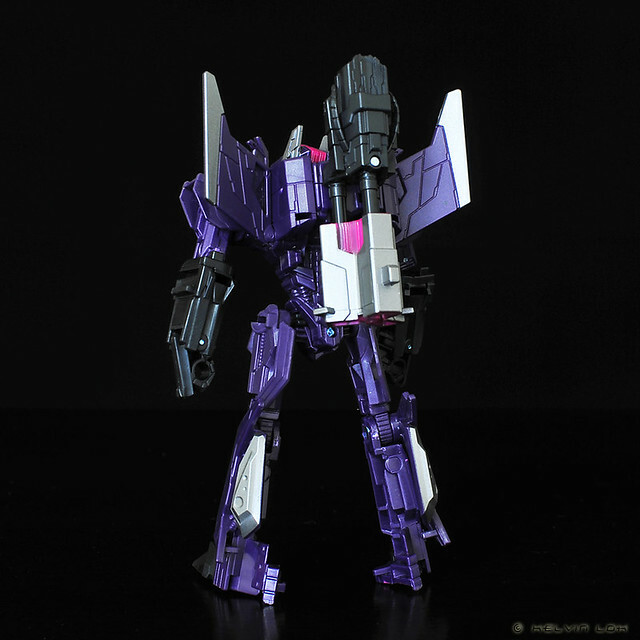 Overall a nice figure and I can see why this is the most popular among the first three Fall of Cybertron series. 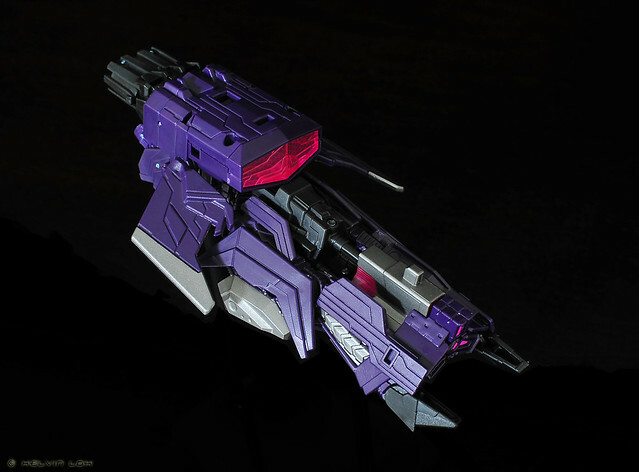 Takara Tomy is slated to release their version, probably in metallic purple and include arms micron. But this Hasbro version is good to have on hand now.